The way we got the balloon to fill up with air at the front of the scene was by using the oldest trick int the book… play the footage in reverse! 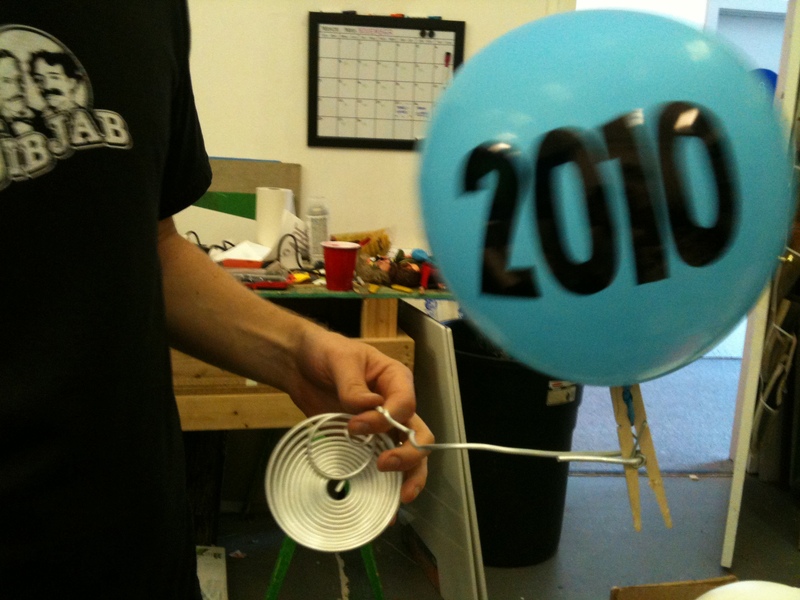 Here’s the footage of Ian clipping a really tiny hole in the base of the balloon so it would slowly deflate. Play that footage the other way and it’s movie magic! This entry was written by paulhanges and posted on December 19, 2010 at 5:12 am and filed under Behind the Scenes. Bookmark the permalink. Follow any comments here with the RSS feed for this post. Trackbacks are closed, but you can post a comment. Year after year I am impressed with the creativity, skill, work and satire/humor that your crew puts into the year in review and all of the JibJab cards. Thank you !!! It’s just like how they did it in the movies.